While the San Gabriel Valley gets all the attention for having cute foods, Orange County has been stepping up in the adorable dessert game recently. We&apos;ve seen ice cream shaped as delightful teddy bears and roses, and macarons with character designs that are so cute you can&apos;t help but let out an "aww" when you look at them. These stores carry the cutest designs in Orange County, adding an extra oomph to your dessert—and your Instagram feed. 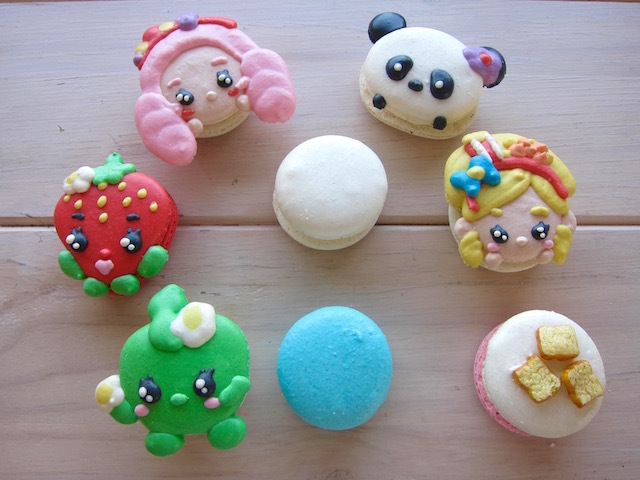 Everything about Honey & Butter Macarons screams kawaii. These hand-crafted, buttercream-filled desserts are topped with adorable character designs, from Disney cartoons to Pokemon, Pusheen and pandas. The designs vary each day and so do the inventive flavors, which include matcha, taro, pandan, Thai tea, churro and lavender coffee. Some of our favorite buttercream flavors are the salted caramel, french toast buttercream, and raspberry and strawberry. Everything tastes fresh because the owners, husband-and-wife duo Leanne and Pawel Pietarsinski, make their own fruit jams and grind their own nuts. Pawel makes the batter and Leanne meticulously decorates them. The couple makes a new batch of macarons every day and keeps their shop open until they sell out, which can oftentimes happen early on a busy day. On the weekends, be prepared for a line; one formed when I went at least 20 minutes before the store opened. As for the shop, it&apos;s also very cute. Nestled in a chrome Airstream in the parking lot of Costa Mesa&apos;s hipster mall The Lab, the shop is decorated with the couple&apos;s collection of plush Tsum Tsum Disney and My Neighbor Totoro dolls. Plain macarons cost $2, and character macaroons, depending on the complexity, can range from $2.50 to $4 each. Follow their Instagram to keep abreast of their latest designs. 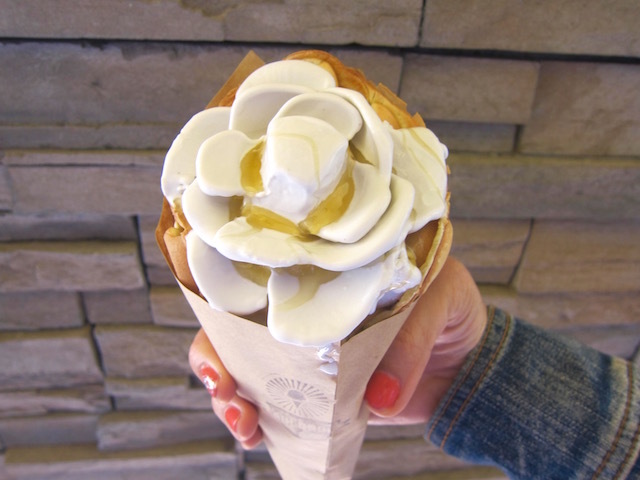 Not only does Cauldron Ice Cream carve beautiful rose designs into their house-made ice cream, but the shop can also wrap a puffle cone around it instead of the boring ol&apos; waffle cone. Now, what is a "puffle cone" besides a really adorable phrase to say out loud? It an egg waffle (that looks like bubble wrap) that&apos;s popular in Hong Kong. It has a crispy outer texture and is light and fluffy inside with an almost mochi-like chewiness. As for the ice cream, they make it fresh in front of you right when you order, using liquid nitrogen. The fun part is watching the shop fill up with what feels like a &apos;fog&apos; at a dance club. We are big fans of their Earl Grey lavender flavor that&apos;s topped with a drizzle of honey. Their flavors rotate every month, but you might be able to catch other flavors like milk and cereal, Vietnamese coffee, cookie butter (speculoos) and sea salted caramel crunch. Splurge and get the puffle cone, which comes with ice cream, for $6. You won&apos;t regret it. The Afters Ice Cream guys are behind Ujelly, a place known for cute donuts and pun-filled messages on their walls like "Donut Worry Be Happy." If you need a little extra pizzazz to your breakfast routine, Ujelly has donuts topped with miniature flan, tiny cinnamon rolls and itty-bitty, roasted marshmallows. 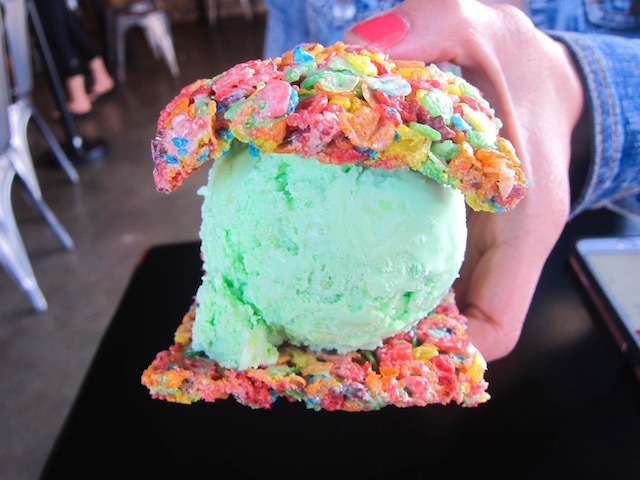 You can even get one covered in Fruity Pebbles cereal (for the ultimate Instagrammable treat). They also have flavors like Oreo cookie cake, strawberry shortcake, pandan and Vietnamese coffee. One of our favorite flavors is their signature taro cream-filled donuts. 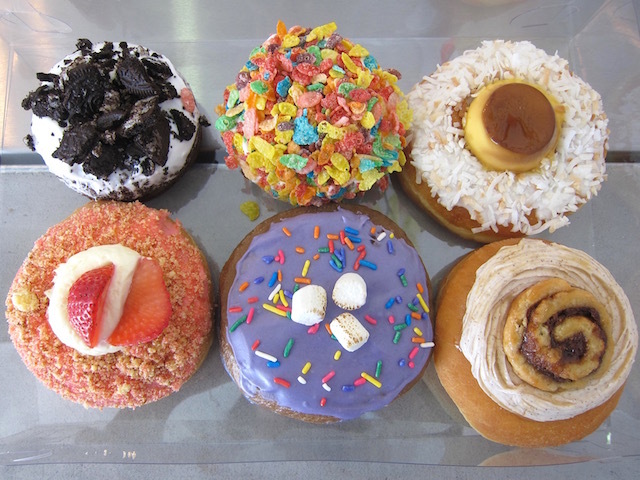 Each of these donuts costs from $1.50 to $2.50. If you need something to wash that all down with, they also have milk teas and boba. Eiswelt Gelato is a relatively new family-run ice cream shop in Westminster that adds a little something special to their gelato cones. 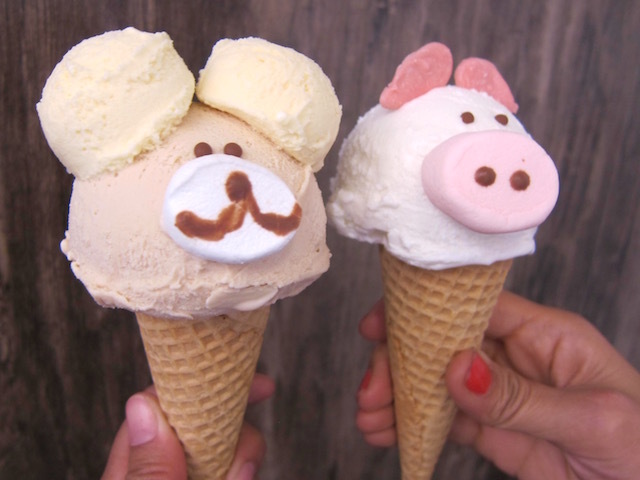 They take extra time shaping ice cream scoops into different animals with cute marshmallow noses. There&apos;s a teddy bear, monkey, dog, pig, and even multiple pigs stacked on top of each other (depending on how many scoops of gelato you want to eat for the sake of a photo). They also do beautiful roses, too, with layered petals of different colors. The family is serious about their production as they have a running Belgian chocolate fountain behind the counter that they can use at any given moment to make their character designs. As for the gelato itself, it&apos;s a rich and creamy one that the family makes fresh every day with organic and non-GMO ingredients imported from Italy. You can get sorbetto as well as their gelato with flavors like taro coconut, green tea, strawberry and birthday cake. While you can get just a regular ol&apos; gelato cone, we suggest you go for the animal-shaped cones, that run from $3.50 to $5, depending on the number of flavors and designs. The ice cream sandwich game is strong with Milk Bar. This shop has three kinds of sandwiches: Oreo, cookie, and their most eye-catching one, the Rainbow Bar. The Rainbow Bar is basically like a Rice Krispy treat but made with Fruity Pebbles cereal, and is quite the colorful showstopper. Their ice cream is delicious and creamy with flavors like Cherry Vanilla, Mango Puree and Pandan, which has actual chunks of coconut in it. The Rainbow Bar with ice cream is $5.